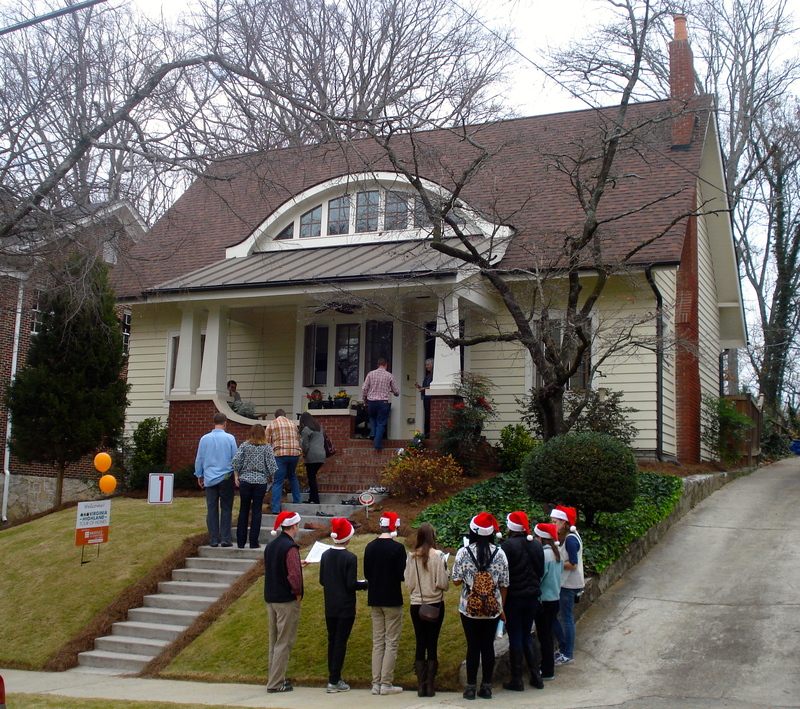 Our neighborhood Tour of Homes is a weekend favorite for attendees and community volunteers each December. Like other initiatives within VHCA, the tour occurs because a committee of volunteers spends their time throughout the year to create the experience that so many have come to enjoy. This dedication has contributed to VHCA granting over $270,000 to our schools, partnering non-profits, and neighborhood partners over roughly the last decade. This includes just under $130,000 for schools, almost $40,000 for Trees Atlanta, and almost $45,000 to our local public library. The money raised also supports other neighborhood initiatives such as security cameras, the restoration of Fire Station 19, and parks projects. There are several volunteers who have been on the committee for a number of years, whose work and commitment has enabled the Tour to significantly increase the amount of funds raised. Each year, some members of the committee retire, and new folks join. Such is the nature of volunteer efforts—it’s not known who will come forward each year to help accomplish our goals, but we depend on residents stepping forward as they are able. 2017 will be an important rebuilding year for the Tour of Homes. After co-chairing the committee in 2015, and chairing it in 2016, I am stepping down to join the ranks of a ‘regular’ committee member in 2017. A few sub-committee chairs will return to plan the 2017 tour, but a number of critical positions must be filled with new volunteers. If you’re someone who loves our neighborhood and really enjoys the Tour of Homes, please strongly consider taking advantage of a wonderful opportunity to meet new folks, and have such a positive impact on Va-Hi. Recruit a friend to volunteer with you! For the tour to occur as usual in December this year, it is critical to have folks raise their hand and volunteer to fill these roles. I am happy to chat with anyone who is interested and needs more information before signing up for the task. We are also planning a committee celebration for this past December’s tour. Let me know if you’d like to join us to meet some of the committee members, and learn more about what’s involved. You may contact me at robin_ragland@bellsouth.net. Committee members will also be present at the Volunteer Open House on January 29. We were a little apprehensive about the weather forecast after last year’s perfect weekend, but we had a great crowd who came out and toured this year’s eight beautiful homes, and tasty food . Approximately 250 volunteers pitched in help make it the most successful Tour to date, with approximately $80,000 in gross proceeds. The Tour’s popularity has grown such that it has raised over $300,000 for the neighborhood over the last five years. Of course, when you have a successful effort like this, there are a great number people who need to be thanked. First, the homeowners for being hosts and hostesses to us – what’s a home tour without homes? But also SPARK, and Grady for providing holiday music during the event. Then we have our advertising and restaurant sponsors who continue to be so generous each year. Many thanks as well to all who volunteered throughout the weekend and to the House Captains who managed the volunteers in each home. The Tour of Homes committee works throughout the year in order to organize the Tour. I would like to thank them for all their efforts. Our history tour was a big hit last year, so we repeated it, on a larger scale this year. Many thanks to Lola Carlisle for creating our new tour route and brochure, and to Kari Hobson-Pape, Catherine Lewis, Jess Windham Jack White, and Lola for contributing as docents for the tours. Our trolley shuttles were a throwback to the earlier 9 mile trolleys days, and were a great upgrade this year. 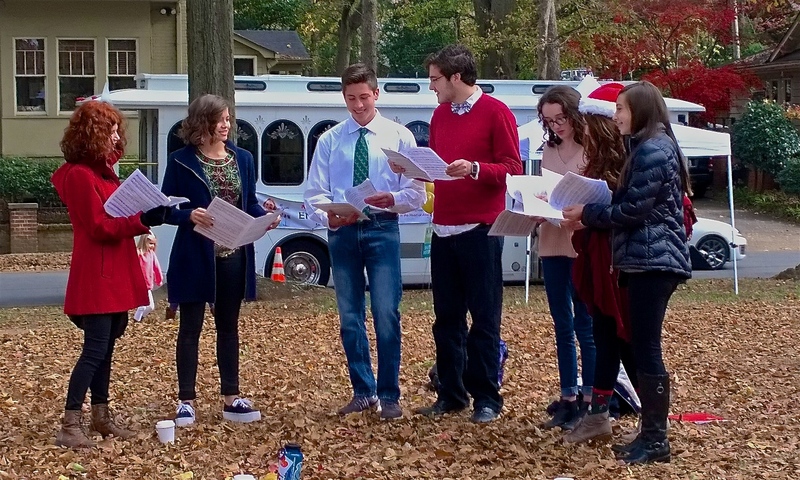 Carolers from Grady High School entertained tour-goers. If you really enjoyed the Tour this year, or would like to be part of an effort that raises needed funding for our neighborhood, you may want to note that our 23rd Tour will be on December 1-2, 2017. We’d love to have you join our Tour of Homes team! Contact Robin Ragland at robin_ragland@bellsouth.net if you have an interest. Robin Ragland is a VHCA Board Member and Chair of the Tour of Homes Committee. ‘Tis the Weekend to Eat, Shop & Tour! If your idea of a good time is spending a few hours touring some of Virginia-Highland’s most unique and beautiful homes, and sampling tasty offerings from some of the neighborhood’s best, we’ve got you covered this weekend. 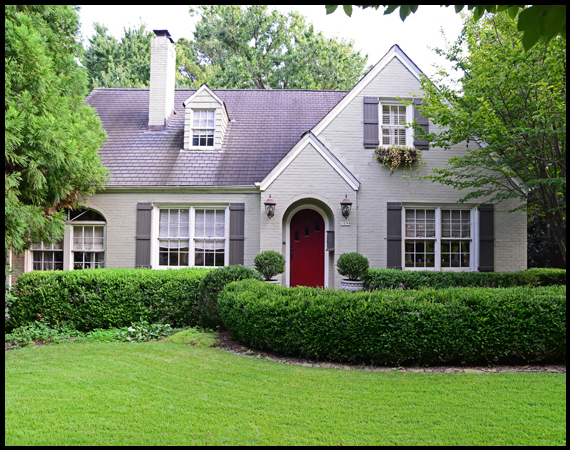 Make plans now, if you haven’t already, to attend the 22nd Anniversary Virginia-Highland Tour of Homes. Tour hours are Saturday, December 3, 10 AM – 5 PM and Sunday, December 4, 11 AM – 4 PM (food tastings Noon – 4 PM both days). This year’s ticket sales, will-call, and volunteer check-in will be at John Howell Park (corner of Barnett St. and Virginia Ave). 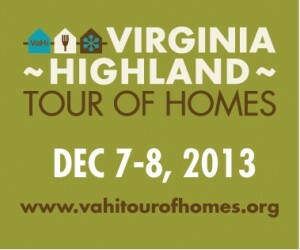 Click here for more information on the Virginia-Highland Tour of Homes and to purchase tickets. This year’s tour features eight beautiful homes, plus a history tour of our own neighborhood. Local restaurants, such as DBA Barbecue, Taco Cowboy, Highland Tap, Atkins Park, Marlow’s Tavern, Tapa Tap, Fontaine’s, Apres Diem, Pea Ridge, Highland Bakery, Press & Grind, The Cook’s Warehouse, and San Francisco Coffee Roasting Co. will provide tastings at each of the Tour homes. The Tour of Homes is one of VaHi’s largest annual fundraisers. Event proceeds benefit VHCA and support community initiatives such as school grants and neighborhood park improvements, as well as safety, planning and preservation efforts. The Tour of Homes experience is the perfect way to kick off your holiday season. Bring your family and friends out to hear the Grady High School Chorus and the SPARK choir perform, and enjoy hot mulled cider provided by Savory Spice shop. See you this weekend at the 2016 VaHi Tour of Homes! Tour of Homes Recognizes 2016 Sponsors – Don’t Forget to Buy Your Tickets Today! The Tour raises needed funds for our much-loved neighborhood through ticket sales and sponsorships. We hope many of you decide to kick off your holiday season and celebrate the amazing community in which we live by attending this year’s tour Dec 3rd and 4th! 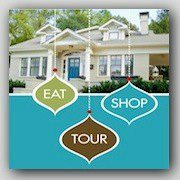 Get your tour tickets online NOW at the Tour of Homes website. Tickets are $25 in advance and $30 on the day of the tour. Your ticket gets you access to eight incredibly unique homes, food samplings from 14 different community restaurants and special coupons and discounts from our local eateries and shops. 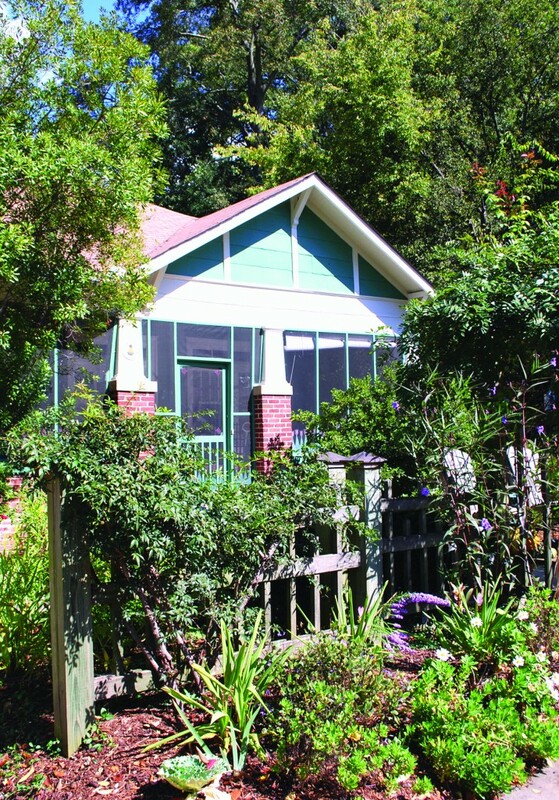 Include a docent-led tour of the neighborhood for an additional $5. The Tour would not be possible each year without the support of our sponsors. We’d like to sincerely thank all of our 2016 sponsors. This year’s Presenting Sponsors are Google fiber; Ferguson Bath, Kitchen & Lighting Gallery; Traditions in Tile and Stone. Thanks to Keller Knapp Realty, our ticket sponsor, for a second year. 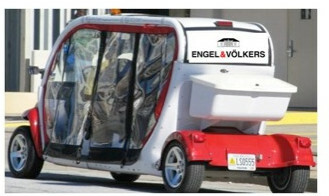 We will offer our attendees a shuttle service, which is sponsored by Engel & Volkers Intown Atlanta. Our Premium Sponsors are Barking Hound Village; Coldwell Banker Residential Broker; Darby Construction; Sarah Mercer Chatel, Keller Williams Peachtree Rd., Distinctive Atlanta Homes Team; Inman Park Marble & Granite; Phoenix Renovations; Red Level Renovations; Julie Sadlier, RE/MAX Metro Atlanta Cityside; Tailfin Marketing. Our Major Sponsors are Benchmark innovations in renovations; BlaBla Kids; Atlanta INtown; Cantoni; Copper Sky Renovations; Intown Renovations Group, LLC; Peachy Clean; PSB Studio ARCHITECTURE; YWCA; The Great Frame Up Morningside. Our Benefactor Sponsors are Balance Design; Bedard Design; Bellwether Design Co; Boutte Tree, Inc.; Distinctive Appliances; European Kitchen & BathWorks; Georgia Water Tanks; Homestead Realtors; Karen Hott Interiors; King Landscaping; Marco’s Pizza; Maxwell Gardens; Morningstar Storage; Park Tavern; Ten Thousand Villages; Worthmore Jewelers. Our Neighborhood Sponsors are 675 N Highland Apartments; Abraham Properties; Across Atlanta Property Management; Allied Fence Company; Alon’s Bakery & Market; Arden’s Garden; Cablik Enterprises; Center Consulting; Design BH Architecture; Kitsy Rose KRPR; Mark Arnold, Architect; Moores Farms and Friends; Nonie’s Garden Florals & Botanicals; Savory Spice Shop. Our Giveaway sponsors are Alon’s Bakery & Market; Apres Diem; Arden’s Garden; Atkins Park; BlaBla Kids; DBA Barbecue; ENGEL & VÖLKERS Intown Atlanta; Ferguson Bath, Kitchen & Lighting Gallery; Fontaine’s; Google fiber; Highland Bakery; Highland Tap; Judith Bright; Keller Knapp Realty; Marco’s Pizza; Marlow’s Tavern; Moores Farms and Friends; Orpheus Brewing; Park Tavern; Pea Ridge; Press & Grind; Savory Spice Shop; Ten Thousand Villages; The Cook’s Warehouse; The Great Frame-up Morningside; Tapa Tapa; Taco Cowboy; Traditions in Tile and Stone; Worthmore Jewelers; Yeah! Burger. Do you follow the Tour of Homes on Facebook? Many people have discovered a wonderful facet of the Tour that’s been growing in popularity since its inception two years ago–giveaways from many of our sponsors. Free tickets for the Tour, and a number of gift certificates for local businesses, are now being given away via the Tour’s Facebook page – right up until the weekend of the Tour. These include gift certificates from Atkins Park, Pea Ridge, Orpheus Brewing, Tapa Tapa, Press & Grind, Marlow’s Tavern, Park Tavern, Arden’s Garden, Highland Bakery, Taco Cowboy, Apres Diem, Alon’s Bakery & Market, Fontaine’s,Yeah! Burger, and Highland Tap. Don’t miss out on a chance to win two free Tour tickets (a $50 to $60 value) from Engel & Volkers Intown Atlanta, Google Fiber, Traditions in Tile and Stone, Keller Knapp Realty, and Ferguson Bath, Kitchen & Lighting Gallery. Win gift certificates to local businesses that include Ten Thousand Villages, Judith Bright, The Cooks Warehouse, Worthmore Jewelers. Bla Bla Kid, Moore Farms and Friends, Savory Spice Shop, and The Great Frame Up. Here’s a link to the entire giveaway schedule—the sooner you starting following along, the more chances you have to win! Lucky winners will be announced on our Facebook page and by private message and can pick up their gift certificates at Will Call in John Howell Park on Virginia Avenue the weekend of the tour. Remember we’ve added a docent-led historical tour of the neighborhood to this year’s Tour. The authors of Images of America: Virginia-Highland have planned this special tour. 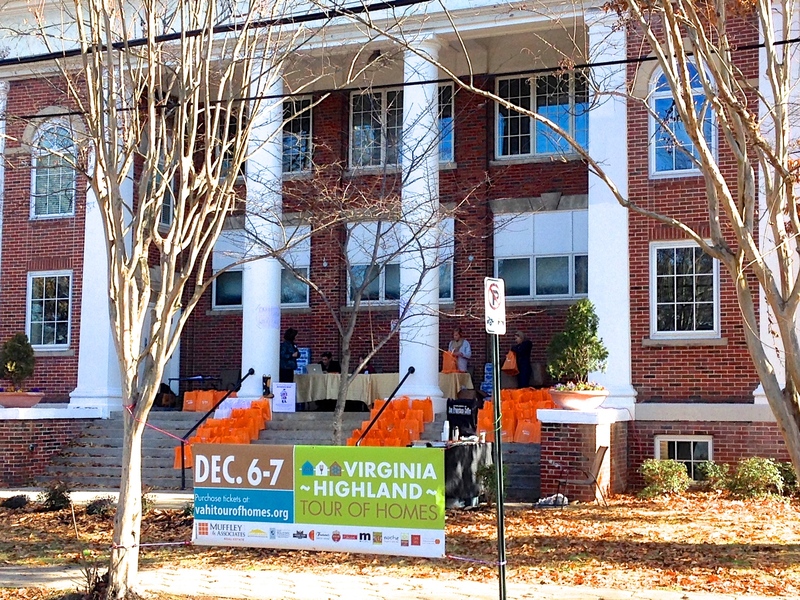 Virginia-Highland is on the National Register of Historic Places and filled with great architecture and stories. Don’t miss this special opportunity to learn about its development and those who made it such a treasure. Advance ticket purchase required for the history tour. Oh – and look who’s flocking to the neighborhood for the Tour of Homes! You may see some of these flocks in various gardens around the neighborhood! Hopefully, you’ll enjoy our bit of whimsy as we remind everyone tour time is approaching. Please visit our Tour of Homes website for more detailed information on the times, the homes, the sponsors and the restaurants. Click here for information on purchasing tickets. 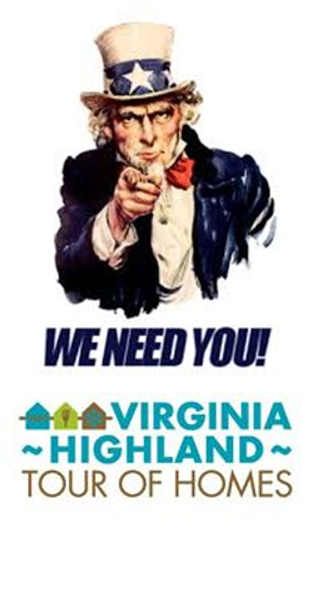 The 2016 Virginia-Highland Tour of Homes is only a few weeks away and we still need volunteers! In addition to being a festive holiday event, the Tour showcases our neighborhood and is our second-largest fundraiser after Summerfest. Please show your support for the Tour and our neighborhood by signing up for a volunteer shift. Volunteers are especially needed for the afternoon shift on Sunday. You can sign up quickly and easily by going to www.vahitourofhomes.org/volunteer and clicking on the green button (once you get to our site at SignUp.com, scroll down to find open shifts). 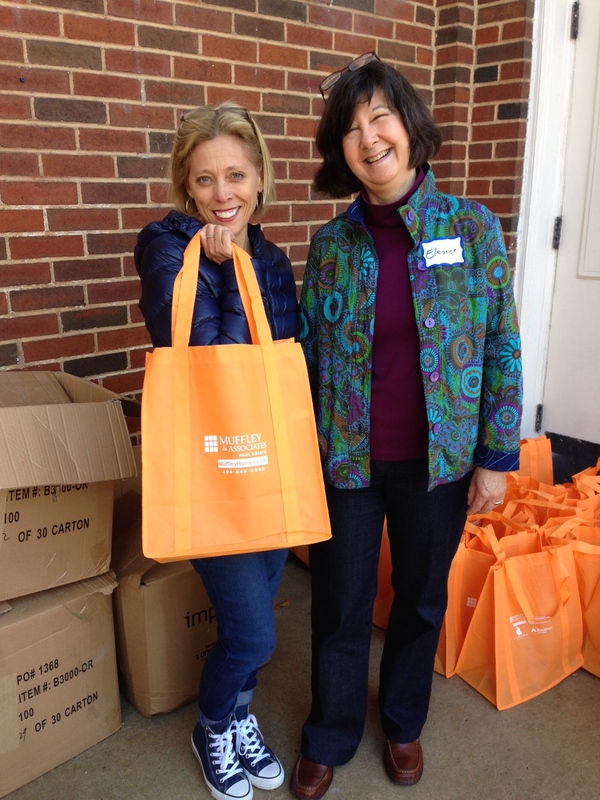 We couldn’t put on the Tour without our wonderful volunteers! Each volunteer receives two free tickets to the Tour – up to a $60 value. What a great opportunity to save $$$ while also helping out your neighborhood! If you can’t volunteer this year, please plan to attend the Tour and encourage your friends and neighbors to do the same. It’s a great way to give back to your community and get out and meet and interact with your neighbors. It’s Almost Time to Tour! YES! 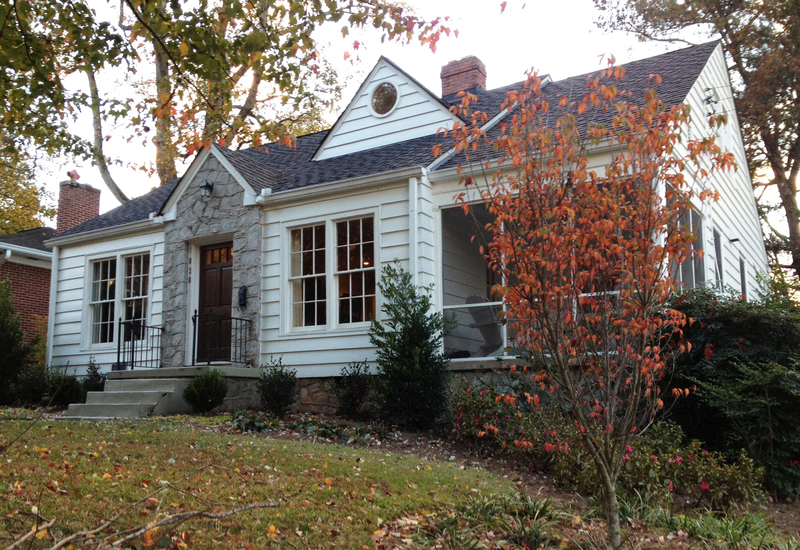 It’s finally Autumn in VaHi and the air is cooler, the leaves are falling AND the Virginia-Highland Tour of Homes committee is in FULL SWING preparing for our neighborhood’s next big event. The 2016 Tour of Homes is set for the first weekend in December, Saturday and Sunday the 3rd and 4th. Our committee has been working hard all year to ensure the success of this year’s tour. Eight beautiful properties will be featured on this year’s tour. Although different in style and design, they are all equally representative of the Neighborhood’s character. This year’s line-up includes a custom modern home with beautiful gardens and rooftop deck, a recently renovated California-style bungalow, a charming 1925 cottage with recent updates, a classic 1917 bungalow with beautiful indoor and outdoor living spaces, and a quintessential 1909 bungalow in which a recent renovation both restored original features and created modern living spaces for the current owners. 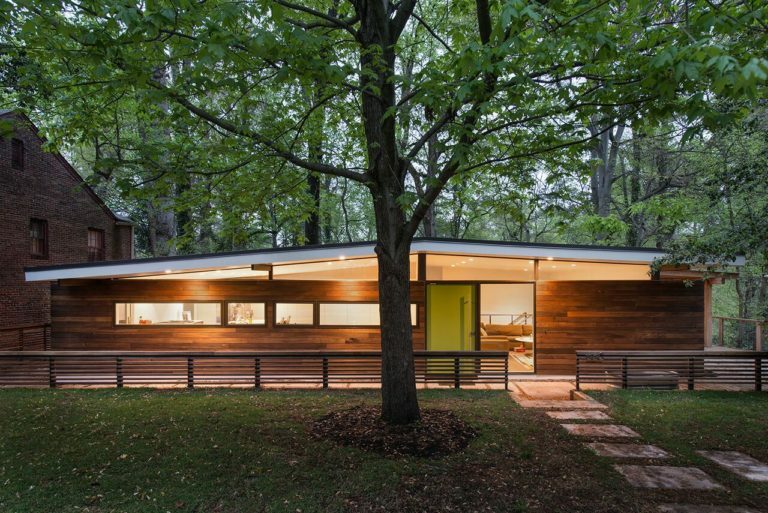 The tour includes three other fabulous historic homes transformed for the modern world. 949 Virginia Circle is one of the homes on this year’s tour. Local restaurants will provide food tastings at each of the Tour homes. Local favorites Highland Tap, Atkins Park, The Cook’s Warehouse, Fontaine’s Oyster House, and Marlow’s Tavern will once again serve up delicious bites. We are thrilled to have the following restaurants new to the tour join in 2016: Highland Bakery, Press & Grind, Taco Cowboy, Tapa Tapa, Après Diem, Pea Ridge and DBA Barbecue. Each year the Tour just keeps getting bigger and better. 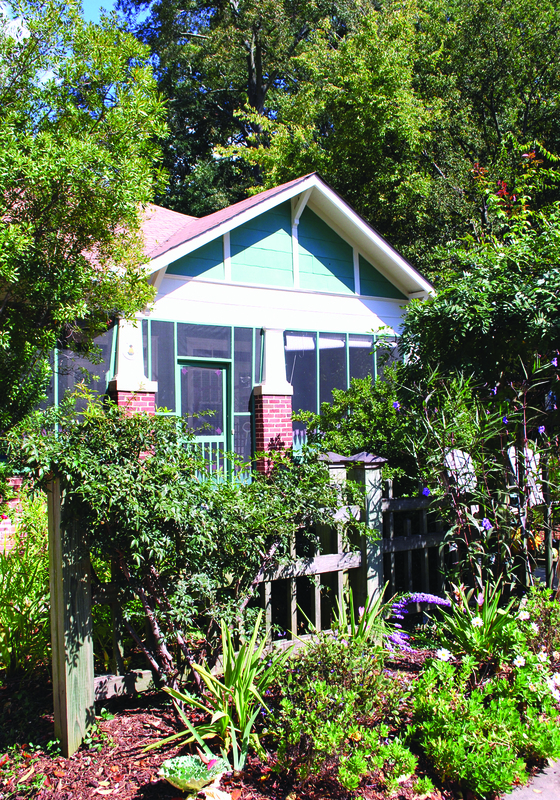 This year, we hope you will enjoy taking a docent history tour of the neighborhood. We are very fortunate to have a number of talented historians in the neighborhood who have crafted a delightful tour. Virginia-Highland is on the National Register of Historic Places, and filled with great architecture and stories. Don’t miss this special opportunity to learn about its development and those who made it such a treasure. 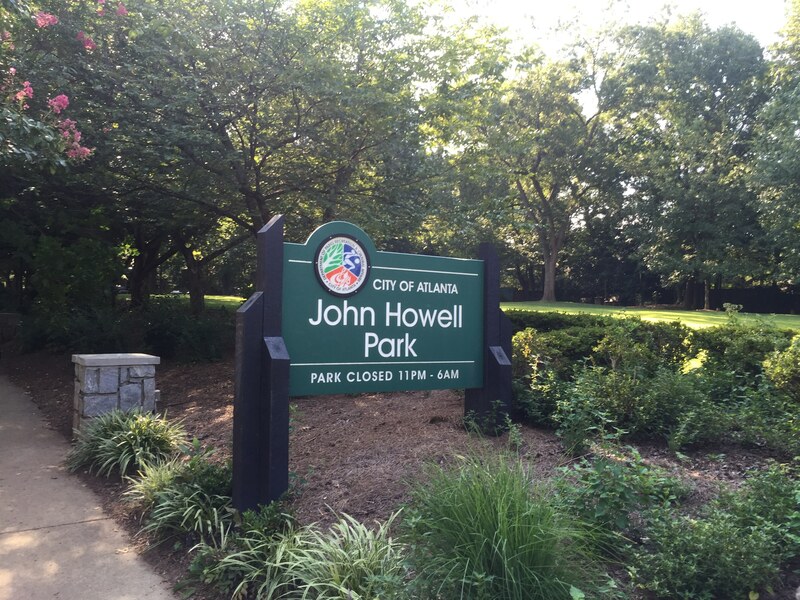 Tours will depart hourly from John Howell Park beginning at 10:00 a.m. on Saturday and Sunday. The last tour departs at 2:00 p.m. Purchase bundled tickets for the home and history tours for $30 in advance. 660 Elkmont is one of the homes on this year’s tour. So many people make this fundraising event possible in order to improve the quality of life in our community. The funds raised by the Tour of Homes go to support various projects in our neighborhood, including playground/park improvements, sidewalks, safety, traffic concerns, planning and preservation and other community efforts. Hopefully, Mother Nature will provide clear skies and perfect temps to bring out tour goers. We know businesses and residents will give them a warm welcome. Please visit our special Tour of Homes website for more detailed information on the times, the homes, the sponsors and the restaurants. There’s a map of the tour and some “teaser” pictures of our featured homes. You can purchase tickets on the website, as well. Also follow us on Facebook for opportunities to win gift certificates and free tickets. 964 N. Highland Avenue is one of the homes on this year’s tour. This is a great weekend to kick off the holidays. TOUR, EAT and SHOP in the charming neighborhood we all call home. Remember, ToH tickets make great gifts, day dates, girls’ trips and family memories! Hope to see you all out & about! YES! It’s finally Autumn in VaHi and the air is cooler, the leaves are falling AND the Virginia-Highland Tour of Homes committee is in FULL SWING preparing for our neighborhood’s next big event. The 2015 Tour of Homes is set for the first weekend in December, Saturday and Sunday the 5th and 6th. Our committee has been working hard all year to ensure the success of this year’s tour. Our line-up features six incredible homes and an historic tour of the neighborhood via an electric car. 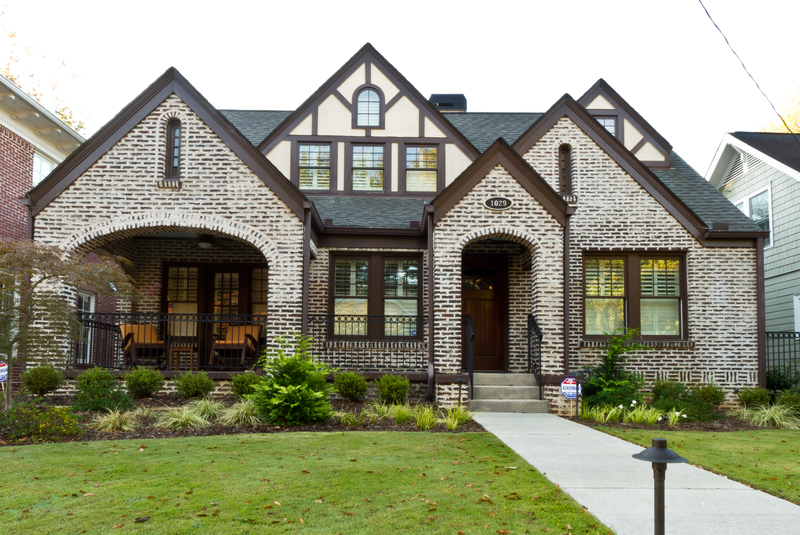 Each home is uniquely designed and decorated and represents the charming characteristics of our Virginia-Highland neighborhood. One of the highlights of the Tour remains the delicious food tastings served in each home. Local favorites like Marlow’s Tavern, Murphy’s, Highland Tap, Fontaine’s, Atkins Park, and San Francisco Coffee are back. New this year: Savi Provisions and The Cook’s Warehouse. To make the Tour more festive this year, we are very excited to have the Grady High School Chorus and Jazz Band, the SPARK choir, KNOCK Music House, the Virginia-Highland Church, City Church East, and Grace Lutheran performing live holiday music and carols throughout our community streets, restaurants and shops. Each year the Tour just keeps getting bigger and better. So many people make this fundraising event possible in order to improve the quality of life in our community. The funds raised by the Tour of Homes go to support various projects in our neighborhood, including playground/park improvements, sidewalks, safety, traffic concerns, planning and preservation and other community efforts. So far, 2015 ToH has raised $40,000 in sponsorships alone. This does not include tickets sales. Hopefully, Mother Nature will provide the clear skies and perfect temps to bring out tour goers. We know businesses and residents will give them a warm welcome. Please visit our special Tour of Homes website for more detailed information on the times, the homes, the sponsors and the restaurants. There’s a map of the tour and some “teaser” pictures of our featured homes. You can purchase tickets on the website, as well. Also follow us on Facebook for many opportunities to win gift certificates and free tickets. 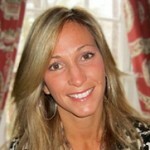 Angelika Taylor is a VHCA Board Member and Co-Chair of the Tour of Homes Committee. What’s New for the 2015 Tour of Homes? Lots! The Tour committee has worked to enhance the Tour experience in many ways, and to maximize its impact as a fundraiser for the neighborhood. First, you’ll have more time to tour because we’ve extended the tour hours on both Saturday and Sunday. On Saturday, you can enjoy the tour from 10:00 a.m. – 5:00 p.m., and on Sunday, it begins an hour earlier at 11:00 a.m. and ends at 4:00 p.m.
Our 2015 ticket headquarters, will call, and volunteer check-in will be in John Howell Park (corner of Barnett St and Virginia Ave.) As in past years, print your ticket or use your smart phone to show your electronic ticket at Will Call for pre-purchased tickets. You may also purchase tickets the weekend of the Tour. Please note all advance tickets will be sold online in 2015. Click here for more information or to purchase a ticket. This year, there are two ways you can directly help raise funds for John Howell Park and Fire Station 19 improvements. On our ticket site, we’ll have a ‘donate’ button. If you are unable to attend the tour, but would still like to support the neighborhood, we hope you will consider a donation. These direct donations will be earmarked for John Howell Park and Fire Station 19 improvements. 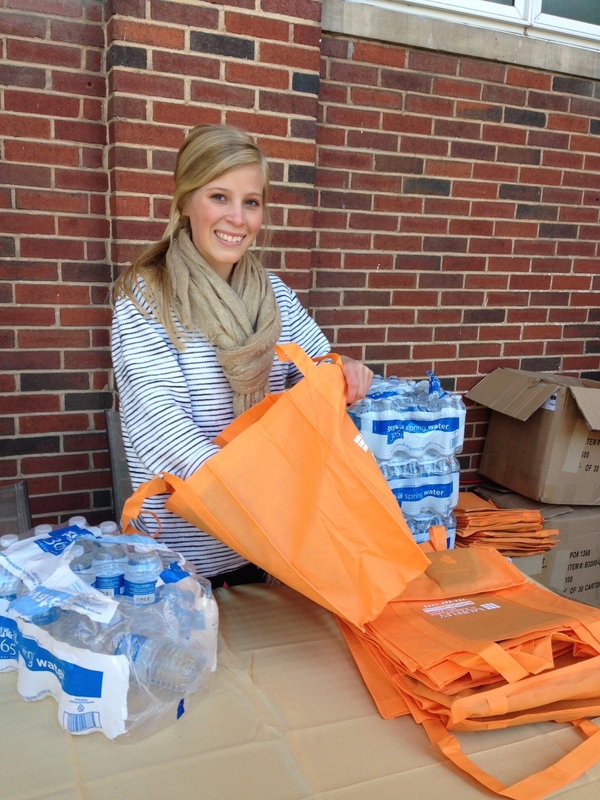 It requires approximately 200 volunteers to help in a multitude of ways in order to host our annual tour of homes. We hope you will consider signing up to help. For more information, and to sign-up as a volunteer, click here. Each volunteer receives two complimentary tickets to the Tour. In some cases, our volunteers are unable to use one or both of their tickets. If you are a volunteer in this situation, please consider “donating back” any tickets you are unable to use. For each ticket donated, $25 will be earmarked for John Howell Park and Fire Station 19 improvements. Note: Fire Station 19 improvements funded are those items not covered by the infrastructure bond. You will be seeing these electric cars buzzing around the neighborhood throughout the weekend of the tour. The YWCA at 957 North Highland Avenue will be the 2015 shuttle and history tour headquarters. The YWCA is located at 957 N Highland Ave. We will have a limited shuttle service available during tour hours. Park and board a shuttle (you need to have your Tour ticket in hand) at the YWCA or at any of the homes on this year’s tour. Also new for this year is a docent-led history tour of the Virginia-Highland neighborhood via electric car. The authors of Images of America: Virginia-Highland have planned this special treat. Virginia-Highland is on the National Register of Historic Places and is filled with great architecture and stories. Please note you must purchase a tour ticket in advance to be able to sign-up for a history tour. For more information or to sign-up for a tour, please click here. Robin Ragland is a VHCA Board Member and Co-Chair of the Tour of Homes Committee. Operations central for the Tour of Homes was the YWCA on N. Highland Ave. Thanks to all who attended, volunteered for and participated in our 20th anniversary Virginia-Highland Tour of Homes held December 6th and 7th. The tour committee started getting excited after the first day’s strong attendance, rainy though it was. By the end of Sunday, we were ecstatic because it was clear we had broken all records this year. For the first time, we sold out the tour with just under 1900 tickets! Record attendance plus increased financial support from our sponsors generated proceeds that surpassed last year’s $51,000 by 20%. We raised over $61,000 for VHCA initiatives. Again, the first words that come to mind are THANK YOU! We’re still receiving feedback about the tour and have begun to review it as a committee to identify opportunities for improvement for next year’s event. We already have some new ideas for next year’s tour we think you’ll enjoy. We hope to see everyone back again in 2015! We’ll need more volunteers, sponsors, and beautiful homes. Let us know at any time if you have an interest in next year’s tour! 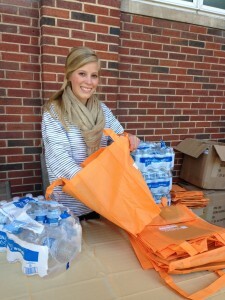 Tour of Homes volunteer Ally Fenn assembles bags for tour-goers. 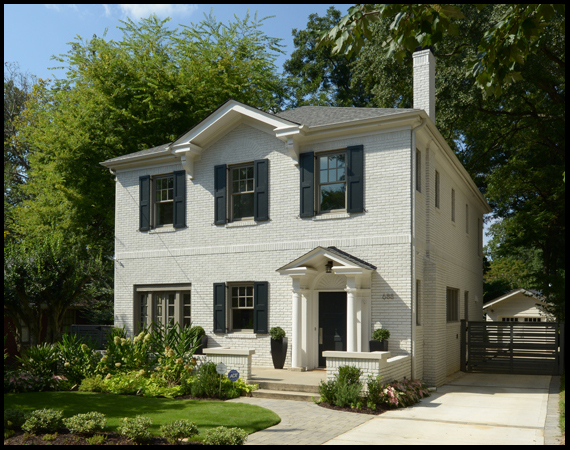 Mark your calendars now for the 2014 VaHi Tour of Homes – the 20th anniversary of one of the best home tours in Atlanta – set for Saturday and Sunday December 6-7. This year’s tour will showcase seven homes and the Church of Our Saviour on N. Highland Ave. across from the firehouse, with each stop including a food tasting from one of your favorite local restaurants. It’s a great way to celebrate the holidays in the ‘hood. Tour, eat and shop…all right here in VaHi! Click here for more information and be sure to like our Facebook page to receive important updates as the event approaches and to have a chance at giveaways including free TOH tickets as well as gift certificates to local businesses. YES! It’s finally Autumn in VaHi and the air is cooler, the leaves are falling AND the Virginia-Highland Tour of Homes committee is in FULL SWING preparing for our neighborhood’s next big event. The 2014 Tour of Homes is set for the first weekend in December, Saturday and Sunday the 6th and 7th. Our committee has been working hard all year to ensure the success of this year’s tour. This year’s line up of homes features seven incredible homes and one historic church. Each home is uniquely designed and decorated and represents the charming characteristics of our neighborhood. The Church of our Saviour is included this year, giving tour goers a special look inside a historic landmark and one of the oldest church communities in VaHi. One of the highlights of the tour remains the delicious food tastings served in each home along the tour. Local favorites like LaTavola, Murphy’s, Highland Tap, Fontaine’s, Atkins Park, Timone’s, Noche, El Taco and San Francisco Coffee are back. New to the tour this year: Moore Farms & Friends and Tapa Tapa. To make the tour more festive this year, we are very excited to have the Grady High School Chorus and Jazz Band performing live holiday music and carols throughout our community streets, restaurants and shops. Each year the tour just keeps getting bigger and better. So many people make this fundraising event possible in order improve the quality of life in our community. The funds raised by the Tour of Homes go to support various projects in our neighborhood including playground/park improvements, sidewalks, safety, traffic concerns, planning and preservation and other community efforts. So far, 2014 ToH has raised $32,500 in sponsorships alone. This does not include tickets sales. Hopefully Mother Nature will provide the clear skies and perfect temps to bring out tour goers. Please visit our website vahitourofhomes.org for more detailed information on the times, the homes, the sponsors and the restaurants. There’s a map of the tour and some “teaser” pictures of our featured homes. You can purchase tickets on the website, as well. This is a great weekend to kick off your holidays. TOUR, EAT and SHOP in the charming neighborhood we all call home. Remember, ToH tickets make great gifts, day dates, girls trips and family memories! For almost twenty years, our Tour of Homes has showcased some incredible homes, restaurants, and sponsoring vendors. 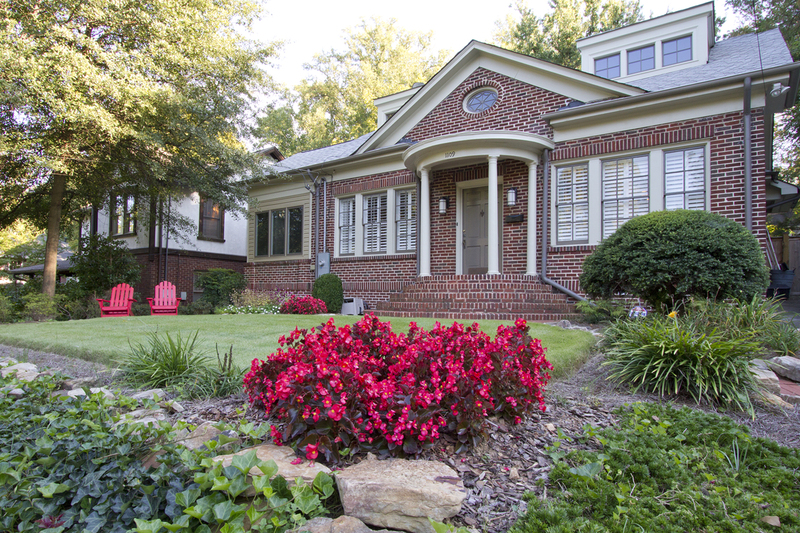 In no small way, TOH has helped put our neighborhood on the map as one of Atlanta’s most sought after places to live. Each year the TOH committee works hard starting in March to plan and execute a tour that will not only be fun and exciting, but, more importantly, raise money for our neighborhood. The money raised directly benefits our community parks, sidewalks, safety, beautification and many other important ongoing projects. Financially, the last three years have been record breaking and the trend continued in 2013. In fact, this year we truly blew it out of the water, generating an amazing $51,000 in revenue ($16,000 more than in 2012)! About 60% of the revenue came from sponsorships, with about 40% coming from ticket sales. The TOH Committee has already begun it’s work on this year’s tour. A number of homeowners have indicated their willingness to have their home on the tour, and several of our local restaurants have already signed up once again for food tastings. We’re thankful to have many new committee members this year to help set us up for another great tour. In order for us to repeat our record breaking revenue from last year, though, we need 2-3 more volunteers to help on our Sponsorship Committee. This sub-committee raised almost $32,000 for the neighborhood last year, and is poised to repeat its success if we have a few more volunteers to help. Our sponsorship drive will kick-off shortly after Summerfest. Please contact me at angelikataylor@me.com to find out more about these positions. Tour of Homes is one of our neighborhood’s key fundraising events. Volunteering is a great way to get involved in Virginia-Highland and make a difference, all while re-connecting with old friends and meeting new ones. Over the past few weeks I’ve been asked several times how successful our 2013 Tour of Homes was. Well, you might want to sit down because I’ve got some great news for you. For almost twenty years now, our Tour of Homes has showcased some incredible homes, restaurants, and sponsoring vendors. 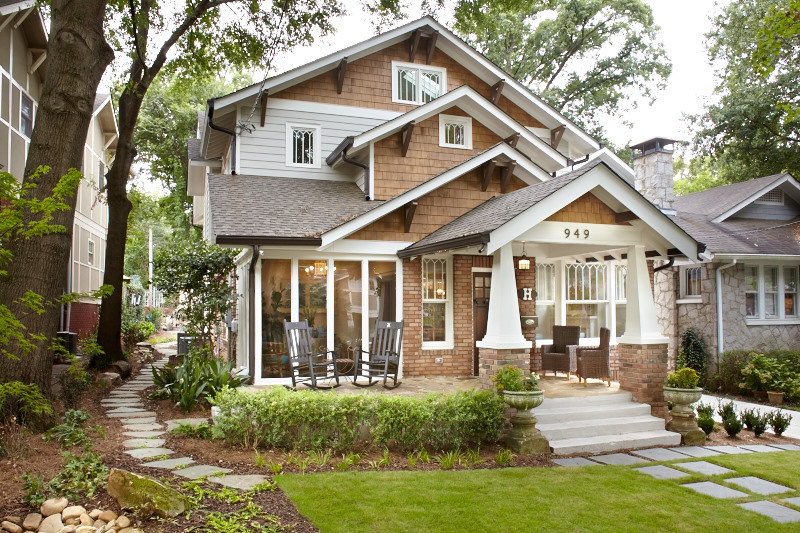 In no small way, TOH has helped put our neighborhood on the map as one of Atlanta’s most sought after places to live. Each year the TOH committee works hard starting in March to plan and execute a tour that will not only be fun and exciting, but, more importantly, raise money for our neighborhood. The money raised directly benefits our community parks, sidewalks, safety, beautification and many other important ongoing projects. Financially, the last three years have been record breaking and the trend continued in 2013. In fact, this year we truly blew it out of the water, generating an amazing $51,000 in revenue ($16,000 more than in 2012)! About 60% of the revenue came from sponsorships, with about 40% coming from ticket sales. This is truly a testament to the hard work and dedication to teamwork invested by this year’s TOH committee. I’d like to personally thank the gracious homeowners that allowed 1,700 people to come through their homes and admire their hard work and incredible style! I’d also like to thank the neighborhood restaurants that provided amazingly tasty food to all our tour goers. And lastly I’d like to thank the businesses that directly support our Tour through the purchase of sponsorship packages – you guys were huge part of why the 2013 tour was so successful. Last but NOT least, I want to give a HUGE THANK YOU to a Tour of Homes committee that was absolutely off the chain good! These people are incredible. They make it happen. Thank you so much for your volunteer time and expertise. With that said, the TOH Committee is ready to gear up for this year’s tour which will be held on December 6th and 7th, 2014. WE ARE LOOKING FOR HO– USES. If you’d like your home to be considered for this year’s tour, or if you’d like to suggest a home to be apart of the tour, please contact us me at angelikataylor@me.com. Please contact me at angelikataylor@me.com to find out more about these positions and other ways you can help. 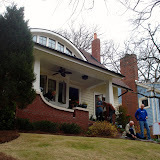 Tour of Homes is one of our neighborhood’s key fundraising events. Volunteering is a great way to get involved in Virginia-Highland and make a difference, all while re-connecting with old friends and meeting new ones. I look forward to hearing from you soon. And, once again, here’s to a tremendously successful TOH 2013! 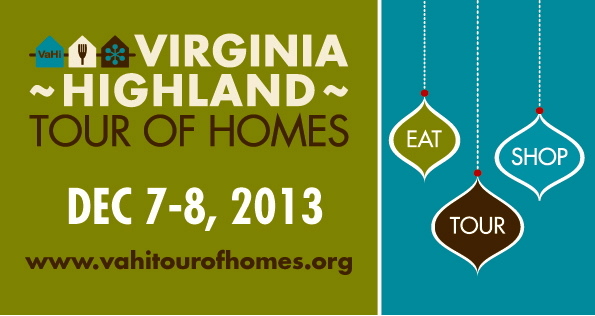 The 2013 Virginia-Highland Tour of Homes is only three weeks away. With tickets sales already booming and our sponsorships locked in, this promises to be another successful neighborhood event. We’ve already broken all records in terms of funds raised via our business sponsorships. The TOH Committee would like to take this opportunity to say THANK YOU to this year’s sponsors. Thanks for your generous contributions at all levels to help ensure the success of our event, support our community and give back to our neighborhood. This year’s Presenting Sponsor is Muffley & Associates. Our Premium Sponsors are Barking Hound Village and Heritage Bank. Our Major Sponsors are Artisan Closets, Distinctive Appliances & Vacuum – Buckhead, Dog Gone Handy Home Rebuilders, Founders Kitchen and Bath, Karen Hott Interiors, Morningstar Mini-Storage, Natalie Gregory Home – Keller Williams, Remax Metro Atlanta – The Zac Team, Rinehart Design Group, The Great Frame-up, The Intowners – Sadlier, D’Aprile & Bade, Traditions in Tile, Urban Body Fitness and Studios, Warren City Club and Whole Foods. This year’s Neighborhood Sponsors are Abraham Properties, Allied Fence Company, Allstate Insurance – William Kelly, Antiquity Architecture & Design, Bla Bla Kids, Design BH Architecture, Cindy Gilmore Hair Studio, Ellis Landesign, Festivity, Intown Hardware, Jones Pierce Architects, Judith Bright Jewelry, Kitsy Rose Public Relations, Moore Farms and Friends, Neptune Pools, New York Butcher Shoppe, Nonies Garden, Olde Savannah Flooring, Peace by Piece Organizing, PSB Studio Architecture, Stanton Law LLC, and Ten Thousand Villages. And the Tour Committee would be remiss if we didn’t extend a heartfelt thank you to the local restaurants that will be providing tasty samples at each of this year’s Tour homes: American Roadhouse, Atkins Park, D.B.A. Barbecue, El Taco, Fontaine’s, Highland Tap, La Tavola, Marlow’s Tavern, Noche, Rosebud, San Francisco Coffee and Timone’s. Get your Tour tickets NOW online at our Tour of Homes website. Plan Dec 7th and 8th as your weekend to EAT, TOUR and SHOP in VaHi. Tickets are $25 in advance, $30 day of tour. Your Tour of Homes ticket gets you into eight incredible homes, a sneak peak into a newly renovated apartment home at Briarcliff Summit, food samplings from ten different community restaurants and special coupons and discounts for our local eateries and shops. This is the perfect weekend to kick off your 2013 holiday season! In case you’re wondering what the buzz is all about, everyone is talking about our neighborhood’s next BIG event, the 2013 Virginia-Highland Tour of Homes! Scheduled for Saturday and Sunday December 7-8, you’ll want mark your calendars now and start making plans to EAT, TOUR and SHOP right here in VaHi. The Tour of Homes committee has been working hard all year to kick off the holidays with another spectacular and successful event. This year’s TOH showcases eight unique homes and one newly renovated apartment home at Briarcliff Summit. Although the homes are always the main attraction, ten local restaurants – six of which are new to the Tour – will serve up their eclectic food samples in each home as well. OK, it’s time to spill the beans. Scroll down to view photos and descriptions of the wonderful homes on this year’s tour. For more information about the tour, including a list of the participating restaurants and a page where you can purchase tickets, click here. 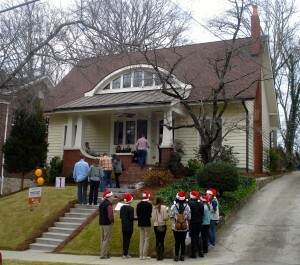 The Virginia-Highland Tour of Homes is such a fun way to kick off the holidays. Tell your friends and family to come out and support our neighborhood on a weekend where everyone loves to EAT, TOUR and SHOP! The oldest home on the tour, built in 1910, the homeowners kept the original floors on the main level along with a few rooms and then they took it down to the studs. In the crawl space below they added 18 steel pillars to support the house. Their extensive renovation reveals a comfy, spacious cottage style home with serious “wow” factor influencing the owners’ passion for art and entertaining. When two oak trees fell on this home in 2009 the structural damage to the 1920’s bungalow was so severe that only some of the foundation, two exterior walls and the fireplace could be saved. 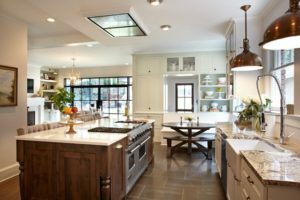 It was rebuilt with a focus on recreating the style of the original house plus a few modern additions – think open kitchen and closets. It’s a fantastic example of exacting quality and attention to detail. Be sure to see the flooring and handrail on the stairs leading to the basement. They are reclaimed wood from the original home. Fresh, airy and bright, this well designed home with gallery-like spaces is entirely new construction. Its open plan design flows effortlessly through three finished levels and continues seamlessly to the outdoor lounging terraces and back lawn. An art lovers dream, it features iconic modern furnishings and a stellar contemporary art collection including graffiti wall art. You won’t want to miss this one. 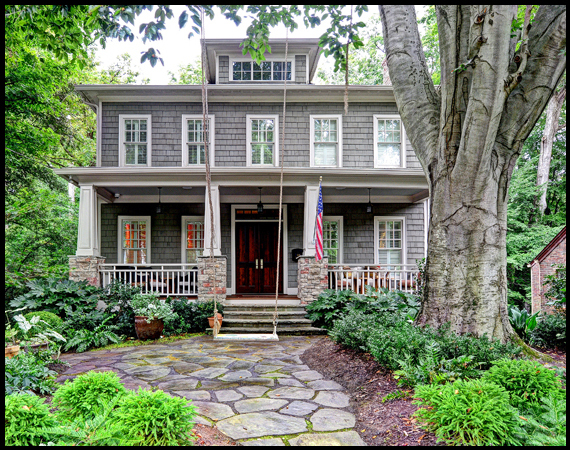 Built in the 1930’s and renovated in the late 90’s this sophisticated home is flush with elegant yet comfortable style. Gone is the dark and gloomy rental property of the 80’s and in its place is an intimate home spanning three finished levels. One of the highlights is the master bedroom suite. An extension of the homes original attic, it boasts striking angles and wood clad walls that add a dose of drama to the tranquil sanctuary. The cozy, stone lined terrace level opens to a naturally shady landscape featuring a treasured 46-foot tall silver oak. Tucked away behind historic boxwood hedges, this 1930’s classic was recently updated to include a new master suite, screened porch, lower terrace guest bedroom suite and a garage. Much larger than it appears from the street, this sprawling three-level home is a great example of successfully merging the old with the new. From its custom concrete counters to designer chandeliers and well selected turn-of-the-century antiques, the home’s romantic, vintage vibe make this one a must see. 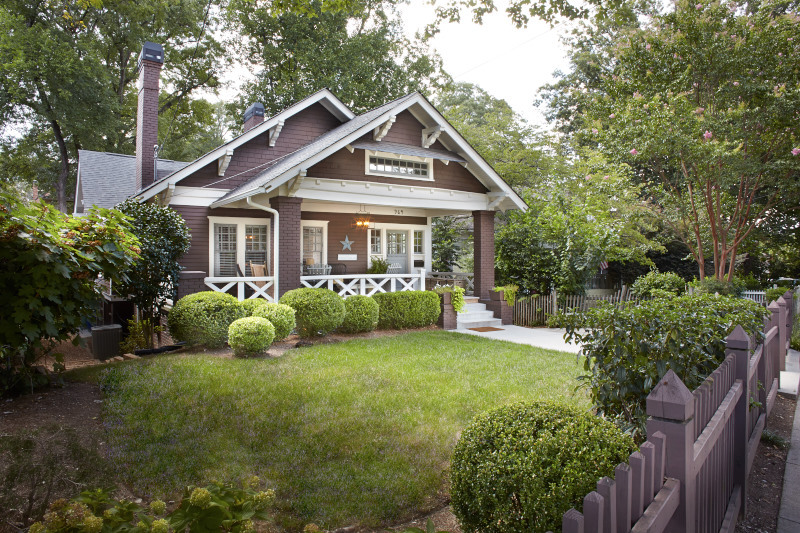 The bespoke and genteel appeal of this 2006 Craftsman-style home greets you at the front door. The result of a major overhaul to the first floor that was completed in September 2013, impeccable designer touches can be seen in the new, custom kitchen, dining room, living room, keeping room and stunning, reconfigured master suite. A handsome mix of textures and alluring finishes, like leathered granite counter tops and hand-finished wood floors, take the quality of this renovation to new levels. It’s one of our favorite kitchens on the tour. 7 – 688 Cooledge Ave Once a two bedroom, one bath house built in 1922, this home was given new life in 2012 when it was transformed into a luxurious four bedroom, three and one half bath retreat. 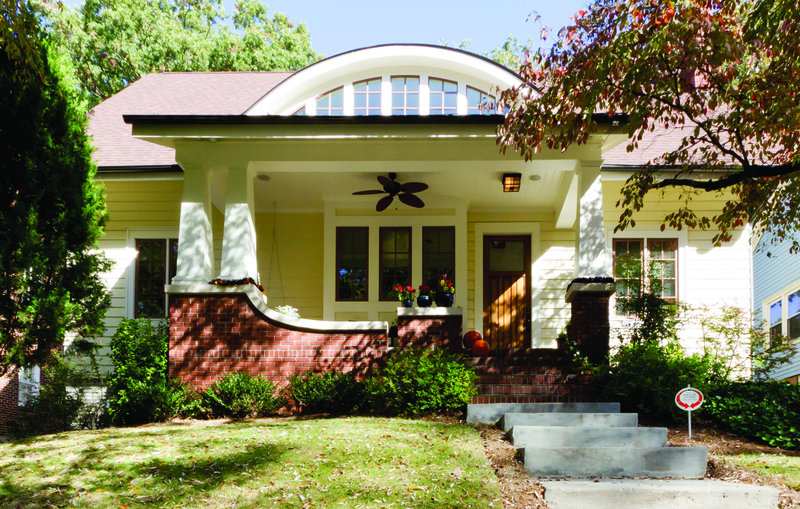 The homeowners preserved the original Georgian Revival exterior entrance, first floor framing and white oak floors – the rest is brand new. Imported marble from Greece, floor-to-ceiling windows spanning the back of the house and a palm-lined outdoor oasis complete with pool are just a few of the signature details you’ll love about this designer home. 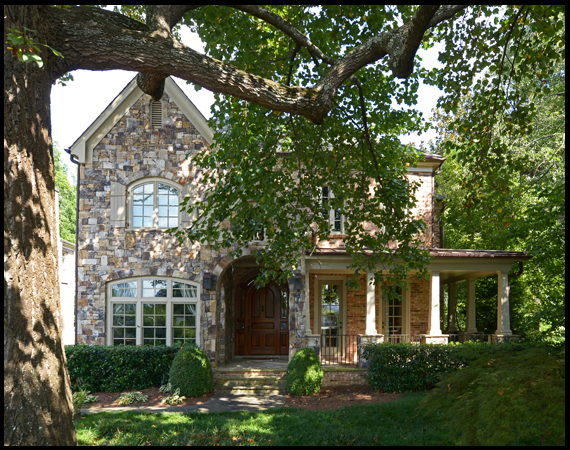 This home’s stately stone exterior is the perfect segue to the cultivated aesthetic you will find inside. Built in 2005, it is the largest home on the tour with three finished levels, four bedrooms, four full baths, two half-baths and three stacked stone fireplaces. It is furnished with many family heirlooms, including a custom 1890’s Steinway grand piano made of Brazilian rosewood. The piano belonged to the homeowner’s Great-Grandmother whose portrait (painted in the 1940’s) hangs in the dining room. You’ll take in both history and style at this address. 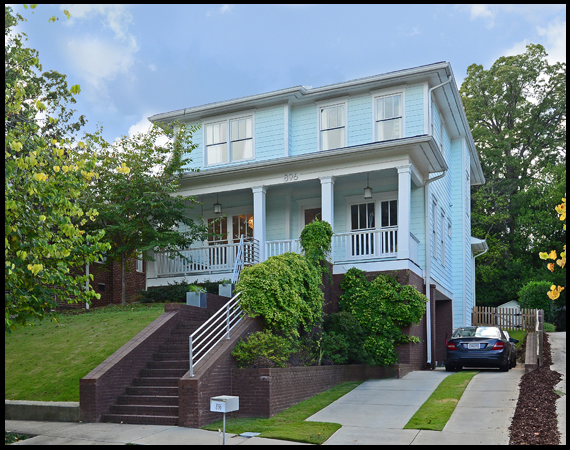 #9 – 1050 Ponce De Leon Ave. History buffs will love this year’s bonus stop. 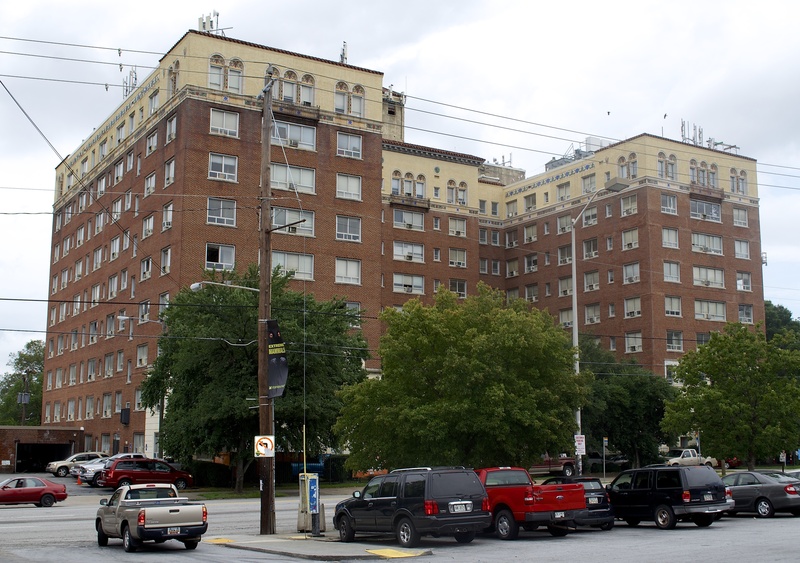 The Briarcliff Summit or “The Seven-Fifty” building — as it was first named when it was built in 1925 by Asa Candler, Jr., son of the founder of The Coca-Cola Company — is steeped in rich history. Once luxury apartments and home to many famous faces, it’s once again under new ownership and fresh from a major renovation. Don’t miss this rare opportunity for a peak inside this landmark that’s listed on the National Register of Historic Places. 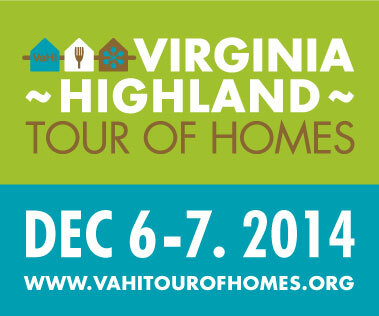 The Virginia-Highland Tour of Homes is coming up soon, Saturday and Sunday December 7 & 8. This year’s tour promises to be one of the best yet with eight beautiful and interesting homes, each paired with delicious food tastings from great local restaurants, plus a history-lover’s bonus stop. Tour of Homes is a festive holiday event that also happens to be an important fundraiser for our community. Please how your support for our wonderful neighborhood by signing up for a volunteer shift. 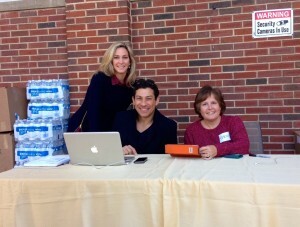 Signing up is quick and easy at http://vahitourofhomes.org/volunteer/. Volunteers will receive two complimentary tickets to the tour. If you can’t volunteer, please plan to attend this year’s tour and encourage your friends and neighbors to do the same. Details are available at http://vahitourofhomes.org/. It’s a great way to give back to YOUR neighborhood! 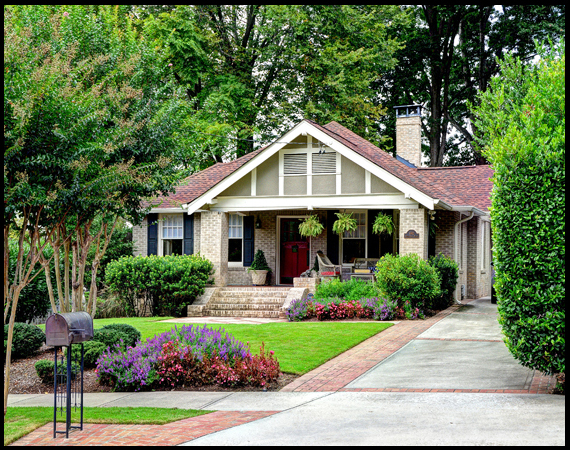 Is your Virginia-Highland home a fabulous classic bungalow, a stunning renovation, or an outstanding new build? If so, we want to hear from you. 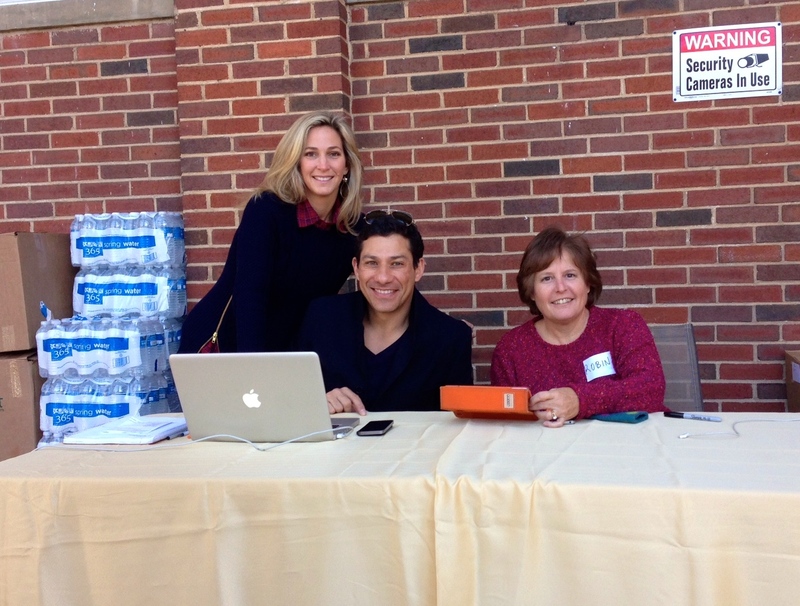 The 2013 Tour of Homes committee is on the lookout for this year’s Elite Eight! Put your home on the tour and help raise funds for the neighborhood. Submit your home today for consideration. Please send up to three photos of your home (low-res photos of less than 1 MB only, please) and a brief description to melinda@muffleyhomes.com. Entry deadline is June 5th so please don’t hesitate if you’re interested. Tour dates are December 7th and 8th. We look forward to seeing everyone on the tour in December! One of the things this year’s Tour of Homes committee focused on was using social media to help spread the word about our event. In addition to a robust website, we created a Facebook page and filled it with pictures of the homes and other relevant posts, blogged about the event on Virginia-Highland Patch, and took advantage of message boards like VHLIST and Next Door Virginia-Highland. We believe our efforts to promote through social media were a key part of the overall success of this year’s event. We were pleased to have been ‘discovered’ this year by local home organizing consultant and blogger Tidy-Up Gal who stopped by and enjoyed this year’s tour. Tidy-Up Gal promoted our event prior to the Tour weekend and got access to take photos of VHCA board vice-president Lola Carlisle’s home. Photos from that tour were featured in a recent blog post. This type of exposure is a great adjunct to use of traditional media in promoting our event and we look forward to more such opportunities in 2013. Wow – what an incredible Tour of Homes weekend in Virginia Highland! I can’t begin to tell you how many personal emails I‘ve received about the homes, food tastings and neighborhood from last weekend. So many people praising our event from the pre-tour advertisement “buzz” and smooth transactions at ticket check-in to the amazing food samplings and hard working volunteers. Our streets were alive and the stores jam-packed. Tour goers enjoyed live, traditional holiday caroling as the Grady High School chorus entertained at the homes and at the North Highland/Virginia Ave. intersection. And this year’s tour really delivered! The tour committee wants to sincerely thank the generous homeowners who allowed more than 1,600 tour-goers to view their incredible homes. The committee also wants to thank the fabulous restaurants, sponsors and the many volunteers for their hard work and support this year. There’s no way we could have made this tour happen without all of you. One of my favorite sayings is “Go Big or Go Home” and this year’s tour did just that…we killed it! By any measure, this year’s tour was a success. Close to 1,100 tickets were sold and, combined with sponsor revenue, the tour generated more than $36,000 for our neighborhood (a $3,000 increase over last year)! Pre-sale of tickets – both online and through our in-town locations – was strong, a direct result of promoting the event through our incredible website and Voice newsletter, the new banners we placed around the neighborhood and the local shops that displayed our signage, blogger support, promoting our event through Facebook and other social media, and, of course, the generous support of our sponsors and vendors. As was the case with Summerfest in June, Mother Nature played a big role in ensuring our event’s success. With warm temperatures and no rain, attendance both days was very strong. What does this really mean to us all? It means we raised money for the community we all take so much pride in – money that will directly impact each and every one of us. These funds go toward support of our parks, sidewalk repairs, safety, streetlights, landscaping and many other community projects that pop up throughout the year. Let me share a quick story with you. On Saturday evening (after Day One of the tour) my hubby and I snuck in a quick dinner at Murphy’s. As always, the restaurant was packed. I talked to people at the tables around us, many of whom were from outlying areas and had come to VaHi to make a day of it. They “Toured, Ate and Shopped,” just as we had hoped they would. Most had had such a great time that they were ready to pack up and move to here! They loved our quaint village, the fact that everyone took pride in the community and that we can walk everywhere here and that the neighborhood seemed so health-conscious. My response to them was that these are precisely the reasons why most residents choose to call Virginia-Highland home. In closing, I couldn’t be more proud of the many TOH committee members who went above and beyond to make this tour an incredible success. It was a pleasure working with everyone and we’ve already begun discussing next year’s tour while our energy level is high. If there’s any feedback about the tour that you’d like to share with us, please email it to tour@vahi.org. Also, if you weren’t a sponsor for this year’s tour but would like to consider it for next year, please let us know. Happy Holidays to everyone who attended this year’s tour or helped make it a success. I sincerely hope you enjoy this special time of year with your family and friends. Virginia-Highland is on fire these days. Our neighborhood is all the buzz. Our restaurants are full for lunch and dinner, our shops are bustling, our nightlife is hopping, homes are selling with multiple offers and the BeltLine is becoming packed with people on any given day. We are so lucky to say we live and play here. This year’s Summerfest was a record success and now everyone’s wondering what’s the next big event in the Highlands? 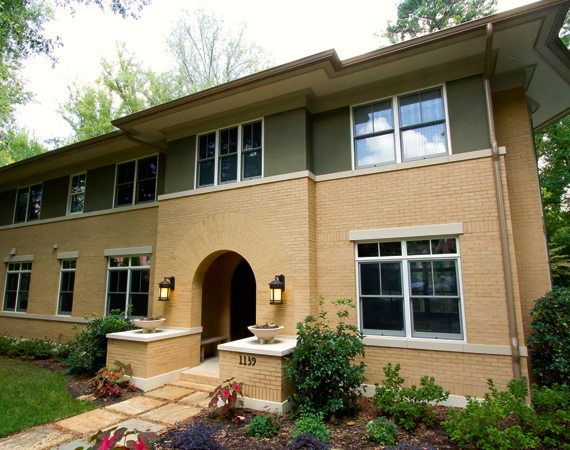 It’s our neighborhood’s very own Tour of Homes and it’s guaranteed to be awesome. 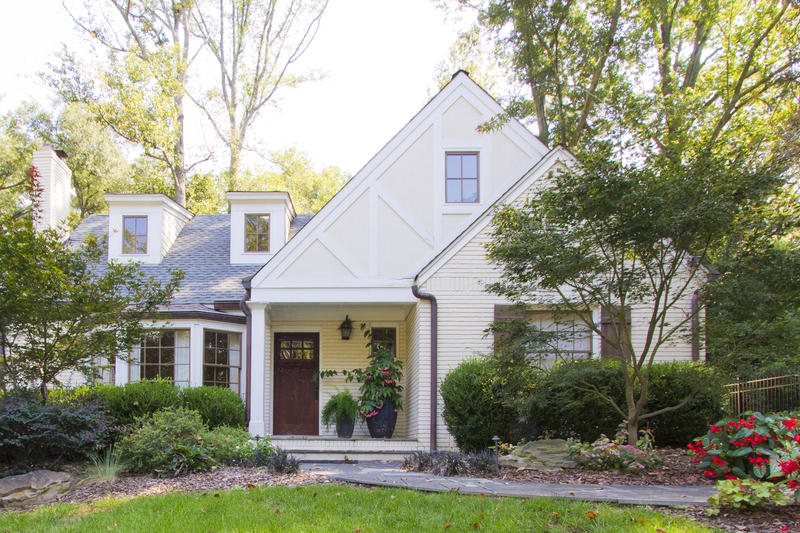 It’s a walking tour of some of the most inspiring homes in Virginia-Highland. Put it on your calendars NOW – you will not want to miss this one. 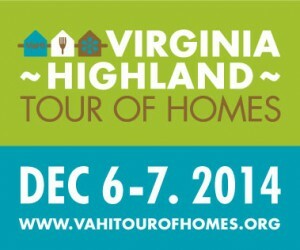 My name is Angelika Taylor and I am chairing this year’s Virginia-Highland Tour of Homes. I have the most amazing group of people that make up the TOH team. There are several committees that make up the TOH, including Home Selection, Restaurant, Sponsorship, Media/PR, Collateral and the Volunteer Committee. Everyone is working so hard to make this year’s tour a huge success and, so far, we are well on our way to doing so. The dates for this year’s Tour of Homes are Saturday and Sunday Dec 8th and 9th. Tour hours will be Saturday 10am – 4pm and Sunday 12pm – 4pm. Restaurant tastings on both days will be from 12pm – 4pm. We have selected seven amazingly different homes as well as our first bed & breakfast ever on the tour. Each home will feature a local restaurant that will provide a special menu sampling to tour-goers. This year’s participating restaurants are Atkins Park, La Tavola, Osteria, Murphy’s, Noche, Pozole’, DBA BBQ and Genki. This year’s tour theme is “Tour, Eat and Shop” a weekend in the Highlands. Tour-goers will be encouraged to linger in our neighborhood before or after they tour to get the “full experience” of our quaint little community. Local businesses will offer specials to tour-goers and live entertainment will be provided by our local schools: Grady High School and Inman Middle School choirs will be caroling during Tour weekend to get everyone in the holiday spirit. Tickets for the tour go on sale in November and will be available online via PayPal in advance for $25 each, or on the day of the tour at the YWCA on North Highland Avenue for $30 each. The Y will also provide free parking in their lot. Come help your community raise money to fund safety initiatives, sidewalks, lighting, parks, schools and many more neighborhood projects and improvements. If you are a local business or individual that would like to advertise in our Tour of Homes ticket book, please contact our sponsorship committee as soon as possible. There are definite print deadlines and one of our team can tell you sponsorship levels and ad cost. Call Catherine Tabor at 404-434-9568 or Kris Smith at 404-226-7536. We are all looking forward to a fun-filled neighborhood event. Tell all your friends and family and make it a weekend of “touring, eating and shopping”. I can’t think of a better way to kick off the holiday season. Tour of Homes has produced a commercial. Have a look on YouTube!. ‘Tis Almost Time to Tour! Let the count down begin! 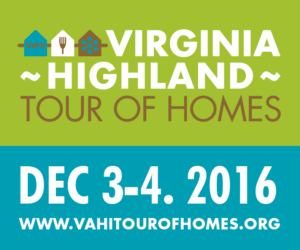 With only a few days left before this year’s Virginia-Highland Tour of Homes, there’s plenty of excitement and anticipation in the air for the weekend of December 8th and 9th. Driving around the neighborhood you’ve probably noticed all the yard signs and banners. They’re brand new this year and are really helping get the word out. The Tour of Homes website is live and full of great content and online ticket sales are increasing daily. 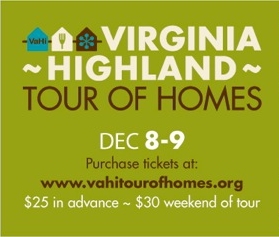 Please visit www.vahitourofhomes.org for a preview of this year’s tour homes. And if you’re on Facebook, find us and like us – there’s a lot of great information there, too. This year’s tour features eight inspiring homes including several turn-of-the-century bungalows expertly renovated in designer style; a 1920’s Tudor Cottage reinvented for relaxed, luxe living; a contemporary masterpiece reminiscent of Frank Lloyd Wright’s signature prairie style; and a fully-restored, historic bed & breakfast. In addition, nine local restaurants – La Tavola, Atkins Park, DBA Barbecue, Murphy’s, El Taco, Genki, Osteria 832, Pozole’, and Noche – will be hosting food samplings on both tour days. I’ve seen their menus and they’re all going out of their way to “show-off” their incredibly different offerings. The food is a serious bonus on this tour – you could easily consider it your appetizer and lunch for the day! All our sponsors and home vendors are ready to market their goods and/or services as well. If you’re planning to renovate, update or just gather great ideas for your home there will be so much eye candy and information available to you in a real home setting, not a showroom. I have files from many past VaHi Home Tours that I still refer back to and have used on my home. Tour, Eat and let’s not forget…SHOP! All our local merchants are ready for tour goers as well. Stores are filled with new merchandise and shop owners are eager to help you with your holiday shopping. Several merchants are offering deals or coupons with your Tour Ticket Book. It will definitely be a great weekend to enjoy our “small town neighborhood” with a big city bustle and pace. It’s the very reason many of us chose to make Virginia-Highland our home in the first place. And for the frosting on the cake, how incredible will it be to enjoy live holiday caroling throughout the neighborhood by some of the most amazingly talented students from Grady High School? The sound of children’s caroling always gets me during the holidays and I am so honored these kids will be sharing their gift with us this year. OK – ‘nuff said. Proceeds from the Tour of Homes go toward funding the many important initiatives of the Virginia-Highland Civic Association so GET YOUR TOUR TICKETS TODAY! Tickets are $25 each prior to Tour and $30 day of Tour. You can get them conveniently online at www.vahitourofhomes.org or, starting the weekend before the tour, get them locally at Intown Ace Hardware (VaHi location), Aurora Coffee Shop or San Francisco Coffee Shop. So, make it a date weekend, a girls day out, a new family tradition or buy tickets as gifts and hand them out to your friends, family, clients etc. This event is rated A for All Audiences! Here’s to another successful event in our wonderful neighborhood! On behalf of the entire neighborhood, the Virginia-Highland Civic Association extends a special thank you to our 2012 Tour of Homes sponsors. The generous support of these sponsors helps ensure a successful event and provides important funding for neighborhood projects including park improvements, safety, sidewalk and traffic concerns, planning and preservation efforts, graffiti removal, communication and ongoing support of our neighborhood schools. This is the 18th anniversary of our tour and this year we feature an impressive line up of seven beautiful homes plus a bed & breakfast, each home paired with delicious menu samplings from local restaurants. Our local sponsors help make the Tour of Homes an outstanding success year after year. Please support them with your patronage. 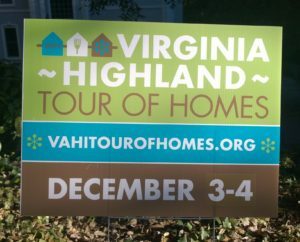 The 2012 Virginia-Highland Tour of Homes is right around the corner and the TOH committee has been working hard to make sure this year’s event is a fun and successful one. In addition to nine outstanding restaurants, there are eight spectacular homes on the tour and we just can’t keep it a secret any longer so here’s a sneak peak at this year’s lineup. 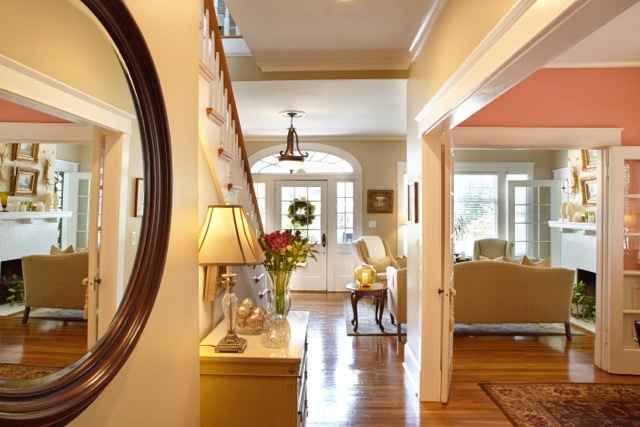 Each home is different and has its own personality, character and style. As you browse through the brief descriptions, start planning your Tour of Homes weekend. Tickets go on sale in November and this would be the perfect event to kick off the holidays with your friends, family and out of town guests. And remember – tour tickets make excellent gifts as well. 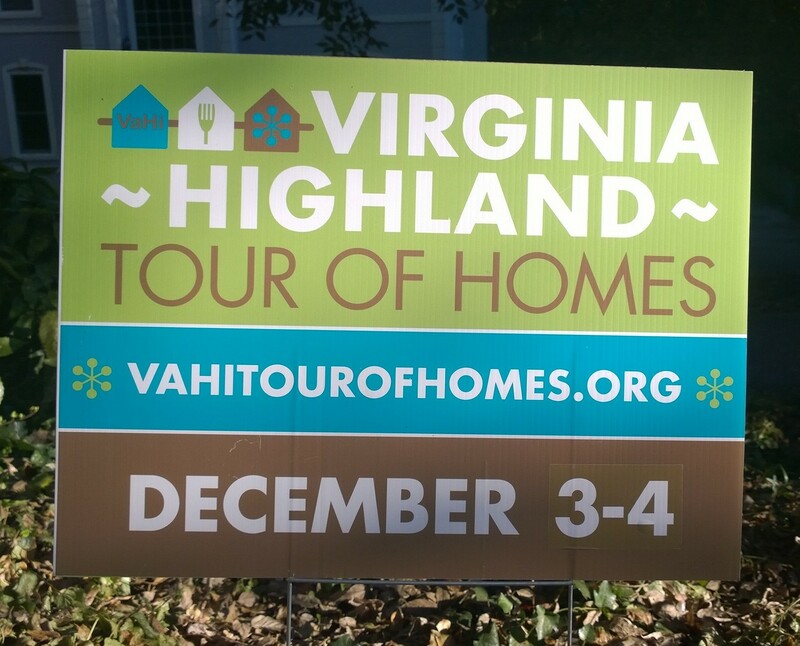 For more information on this year’s Tour of Homes – including how you can get involved by volunteering – don’t forget to visit our recently updated website at www.vahitourofhomes.org. 1 - 957 Rosedale Road: The oldest home on the tour, built in 1910, the homeowners kept the original floors on the main level along with a few rooms and then they took it down to the studs. In the crawl space below they added 18 steel pillars to support the house. Their extensive renovation reveals a comfy, spacious cottage style home with serious “wow” factor influencing the owners’ passion for art and entertaining. 2 - 1089 Rosedale Road: An art enthusiast's dream home. The homeowners’ impressive collection of local and internationally known artists has been carefully displayed in every room of this house. An open airy kitchen and family rooms lead you outside where the art continues. Lush landscaping surrounds a Palm Springs-esque swimming pool and garden. 3 - 1109 Los Angeles Drive: A gorgeous renovation of an original 1926 Tudor/Bungalow home, its rumored that at one time a member of Margret Mitchell’s family lived there. During recent renovations the current owners found a signature on the inside of one of the original door frames signed “Mr. Mitchell”. This home has one of our favorite kitchens on the tour. 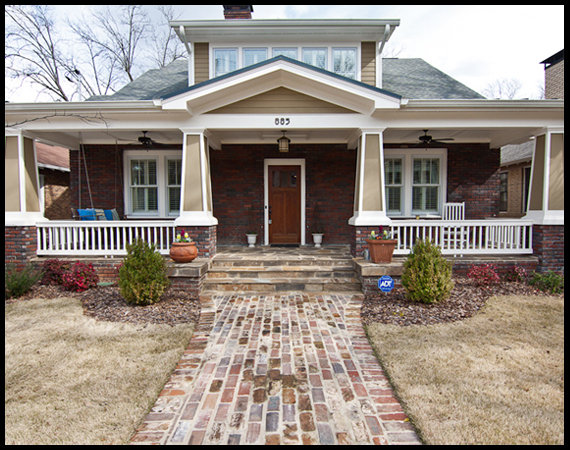 4 - 1030 N. Virginia Avenue: Built in 1929, this cute frame white house is a true little gem. While the current owners walked into a perfectly well preserved home, in 1996 they renovated the upstairs for a teen suite and in 2011 they took on their kitchen. One of the highlights, the kitchen is a throwback vintage/modern feel complete with 50’s style Big Chill appliances. 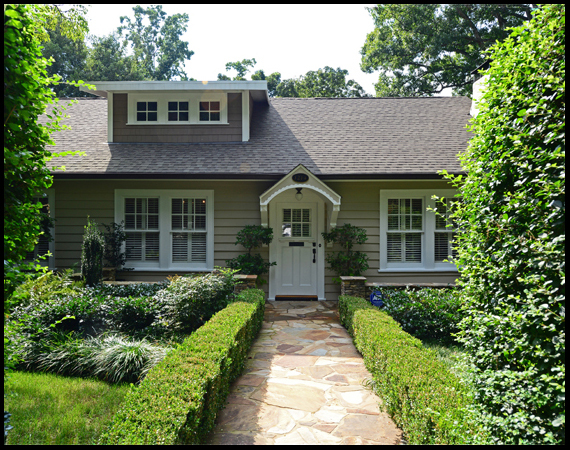 You will find this little unassuming home is chock full of the past but makes use of every inch of space for a small family. 5 - 1139 Lanier Boulevard: This Frank Lloyd Wright-inspired Prairie-style home was custom designed and is entirely new construction. Built by the homeowner himself, this home features extensive millwork/trim of tulip poplar, which was locally harvested. You don’t want to miss this one. 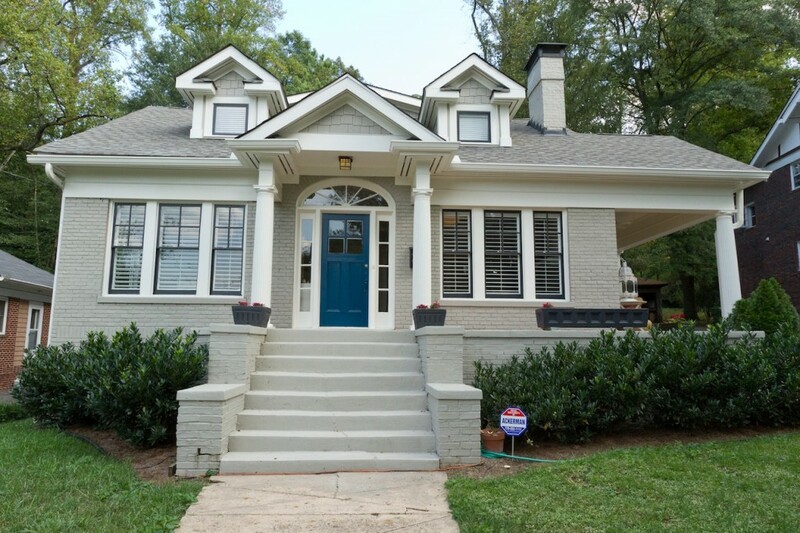 6 - 1029 Kentucky Avenue: Once a small 2 bedroom- 1 bath Tudor cottage in 1928, now a 5 bedroom – 4 bath home with three finished floors and a fantastic layout perfect for entertaining. This home features a wine cellar, bar and spectacular outdoor living. The back yard boasts a serene setting centered around a beautiful lighted spa and waterfall. 7 - 760 Elkmont Drive: A 1930’s original bungalow floor plan, this home is an inspiring example of casual yet luxe renovations. The floors, doors and built-ins remain originals and the color scheme both inside and out aspire to evoke a coastal California beach cottage feel. The master bedroom and retreat spa bath are one of a kind and a must see. 8 - 630 Orme Circle: After a 1995 fire, this 1920 Craftsman Bungalow was fully restored to its original charm and opened as a Bed & Breakfast in 1996 in time to host international guests to the Summer Olympics. This B&B has 5 bedrooms and 5 baths all distinctively decorated with an eclectic collection of turn of the 20th century antiques and mid century modern collectables. The owner, a master gardener, designed the extensive gardens which are part of the Audubon Wildlife Sanctuaries and the Worldwide Labyrinth Project. Open year round, this Bed and Breakfast is a special place to stay. 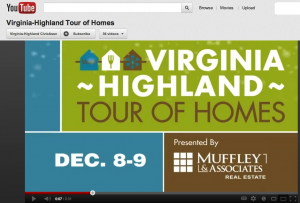 Mark your calendars now for the 18th Annual 2012 Virginia-Highland Tour of Homes! Get in the holiday spirit with friends and family as you tour one of Atlanta’s most charming neighborhoods. Enjoy a festive weekend of beautiful architecture, local restaurant tastings, caroling by local school choirs and discount specials at popular retailers. 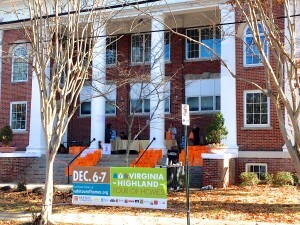 Presented by the Virginia-Highland Civic Association, this year’s event will take place on Saturday, December 8th from 10 am to 4 pm, and Sunday, December 9th from noon to 4 pm. 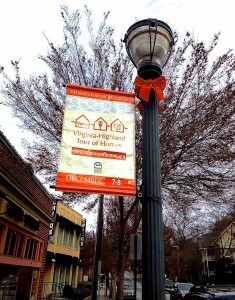 Presented by a neighborhood known for its historic residences, unique shops and fabulous restaurants, the Virginia-Highland Tour of Homes is the perfect way to spend the day and welcome in the holiday season! This year’s exclusive selection of homes promises something for everyone from a historic bungalow by award-winning designer Karen Hott to a contemporary home reminiscent of designs by Frank Lloyd Wright to a rare peek inside a charming Bed & Breakfast – and more! Tickets are $25 in advance, $30 weekend of the tour.